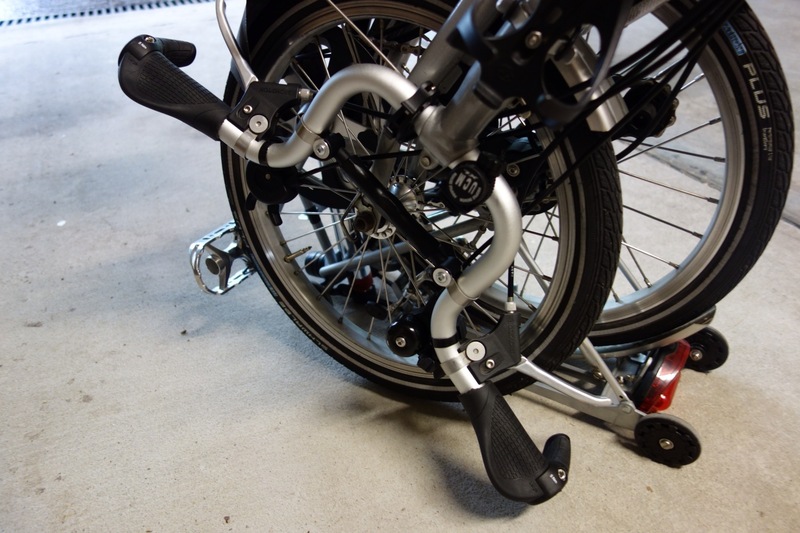 My thumbs have survived today’s task: fitting Marathon Plus tyres onto Ralph, my Brompton Alfine 11-speed. No big deal, you might say? I’m sure some would understand the struggle & pain that can accompany M+ fitment but I’m also sure not many would recognise the significance of my achievement; my Alfine hub is laced to one of those wonderful Sun rims – that have virtually no well, or valley, to the rim profile! Boy, can they be tough for fitting any tyres, let alone the rugged M+ tyres? I recall the pain when I fitted a new Kojak to the rear wheel. I have never damaged my thumbs as much with a tyre fitting! At the time I hoped never to have to go through that again but now Ralph needs to be readied for an all-terrain trip (& I’d been getting nervous about retaining the Kojaks for it). However, I was confident (or maybe just hopeful?) that I had the answer? You see, some time back I came across some much thinner rim tape – & promptly squirreled it away for future use. Fingers crossed today! I can’t say that it ALL went well; just the fitting! When I had trouble fitting the Kojak, I never expected to have trouble getting it off! So it was: I actually failed (initially) to get the tyre off with tyre levers! My usual practice is to use a pair of Michelin plastic tyre levers – but no luck! I thought a third lever may do & I then proceeded to destroy a few non-Michelin levers before turning to another Michelin set. Ouch, a Michelin bent & ruined?! At this point I stopped to rest & think. Of course, get rid of the rim tape! A slash & tug of the Velox rim tape & I soon had most of it out – & then had no trouble removing the tyre with my remaining Michelin levers! From this point it was all straight-forward; first rummage into my squirreled bits box & extract my expected salvation – some BBB 16mm rim tape! 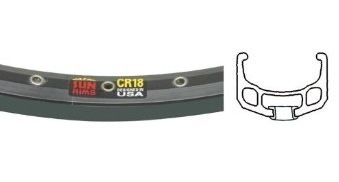 (16mm width to suit the flat profile Sun rim, as compared to the 13mm I use on the Brompton rims). On went the tape, hey presto with the tyre (well, a teeny bit of a struggle – after all, we’re talking about M+ tyres!). The front wheel was next & here there’s nothing much to say – easy enough & the thumbs were holding up fine! – it made all the difference! I expect the bar caps & ends are all interchangeable (I’ve swapped between 3s & 2s without swapping grips). 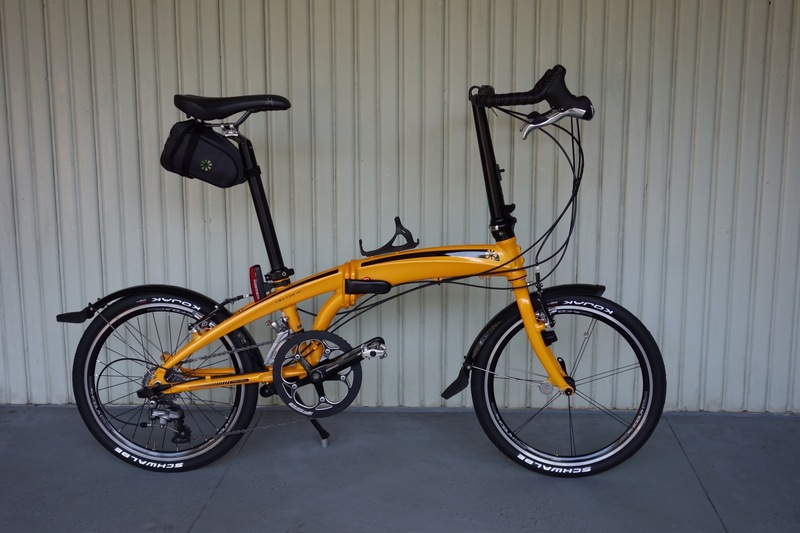 Ergons available in 2 lengths: shorter for bikes with grip-shift gear changers, longer for everything else (although I’ve just remembered that there’s a 3rd version that has grip-shift length on one end only!). The shorter grip-shifts may not suit larger hands but don’t need trimming for length to fit with the brake levers (hope I’ve got that correct?). Longer grips will probably have to be shortened for any model bars, depending on brake levers used (& width of hands?). 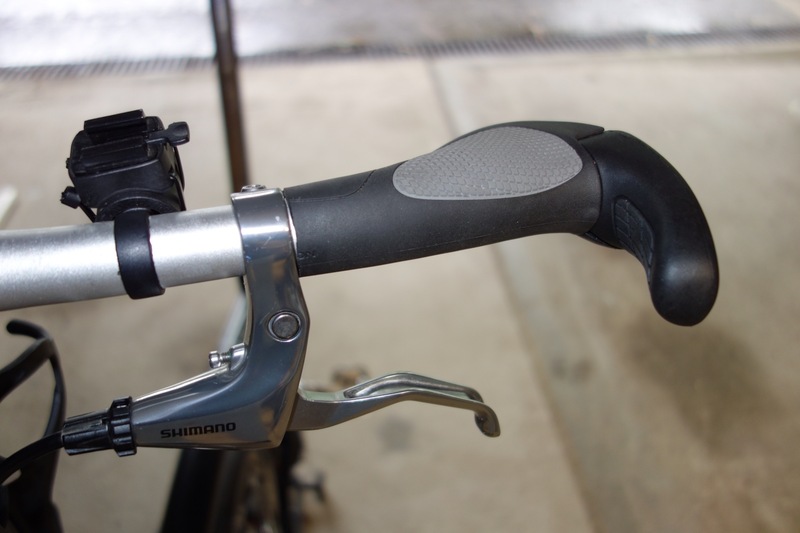 eg My S bars have Shimano brake levers (similar to the latest Brompton brake levers?) 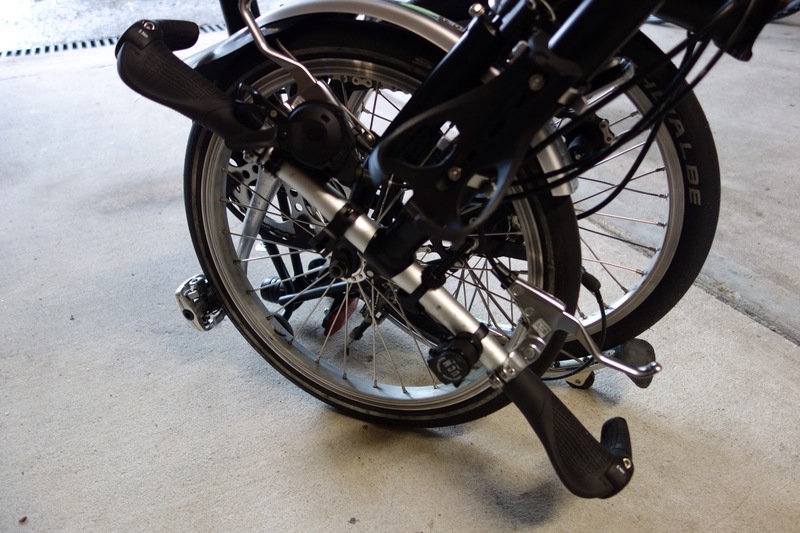 with more clearance than earlier Brompton brake levers but moving the levers inwards to avoid cutting the grips wasn’t desirable (fold clearances to cables? grips too wide for my ergonomics?). Moving levers further inwards probably impossible with M or H bars? 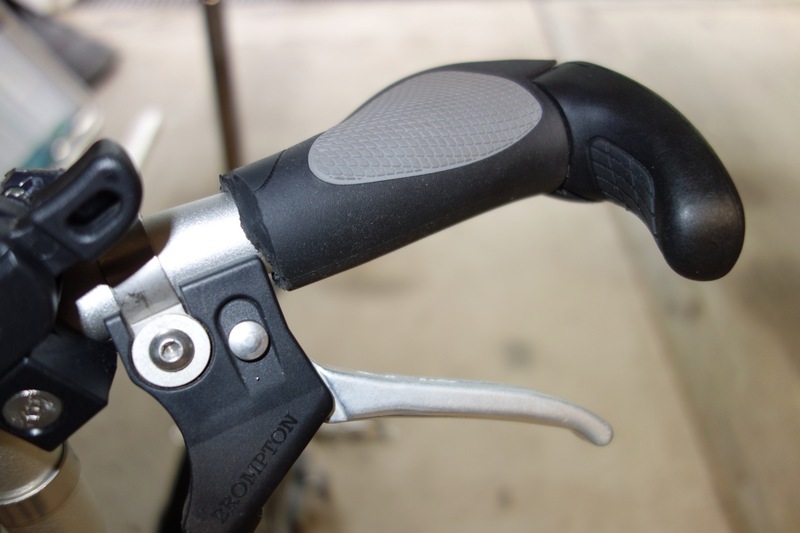 Grips may be better “notched” (rather than a straight cut) when used with earlier brake levers? No experience of BioCork grips. May have seen negative comments somewhere about their suitability in sweaty conditions? 1. Ergons only clamp to the bars on the bar cap/end area. 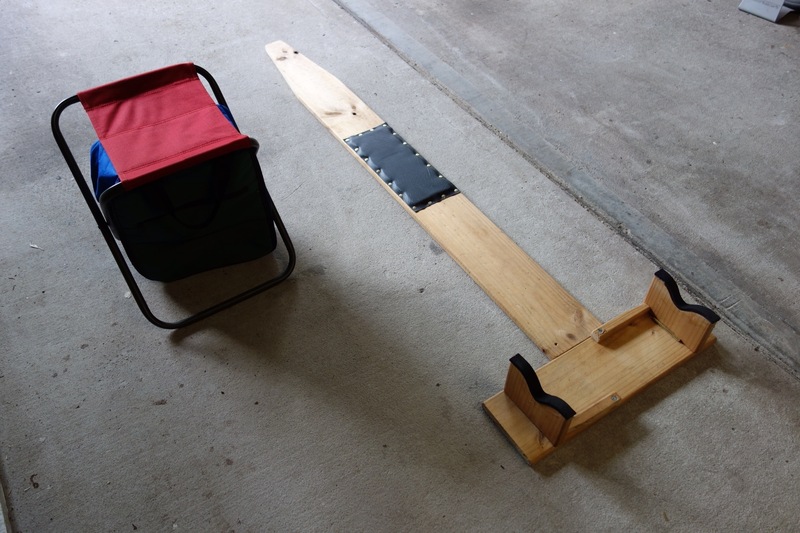 Make sure you trim enough grip length to ensure the grips are properly clamped! 2. If I was shopping for another set of GP2-S for my bikes & all I could see were GP2-L, GP3-S or GP3-L grips then I’d take them & don’t expect that I’d have any issue for comfort/use? Ralph has been suffering a bit of late. I could see the chain needing replacement & I wasn’t happy with the chain tensioner alignment, so it was time to take action. My earlier postings on “Ralph’s flaws” probably cover my issues with the chain tensioner & occasional chain loss on unfolding. Having removed the rear wheel & taken off the rear cog for inspection prior to obtaining a replacement to go with a new chain, I felt compelled to look further & wanted to check out a “chewed up” Alfine 11-speed hub seal under the rear cog. I shall not repeat here my embarrassing boo-boo with the seal (refer my “Extra tools” post for the sordid details) but then set out to source all the parts I would need. Checking an exploded diagram of hub parts, I determined that I needed to obtain the seal (or dust cap, to give it its correct name), a chain guard (missing from Ralph? ), rear cog & chain. Thinking I should support the local bike industry, I sought the Alfine parts from Shimano – only to find that I could only get the dust cap by purchasing the whole internal hub assembly! Rather than spend a few hundred dollars (at least?) 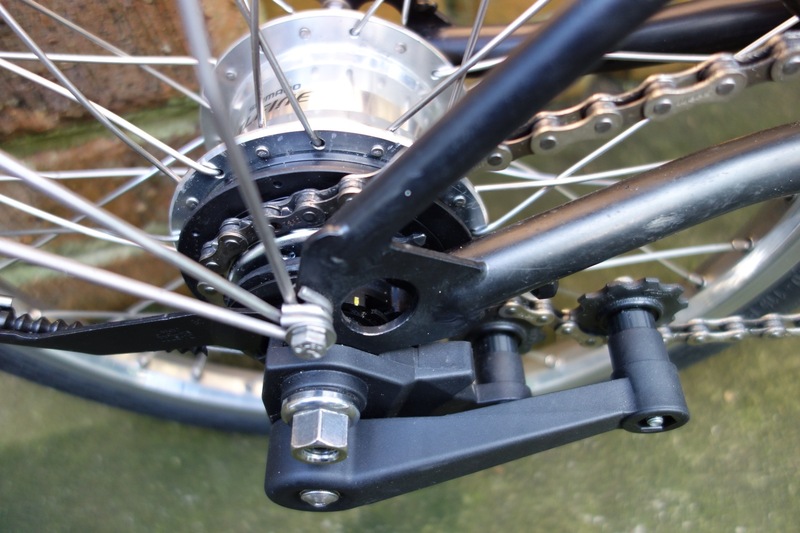 locally, I turned to SJS Cycles, my UK online Brompton parts source who also deal in Shimano parts. Yes, no problems with the individual parts & everything arrived promptly (about $15 total for the dust cap & chain guard). I had already obtained the dust cap tool via eBay (no prizes for guessing that I couldn’t readily obtain it locally). The distorted chain tensioner & poorly engineered sprocket wheel mounting (once again, this background in earlier blog posts) were definitely to be addressed but I first needed to obtain better spacers to fit between the sprocket wheels & chain tensioner arms. No luck with finding anything to fit or adapt, so I considered getting some spacers turned out of alloy but then it occurred to me that 3D Printing the spacers would be the ideal solution. 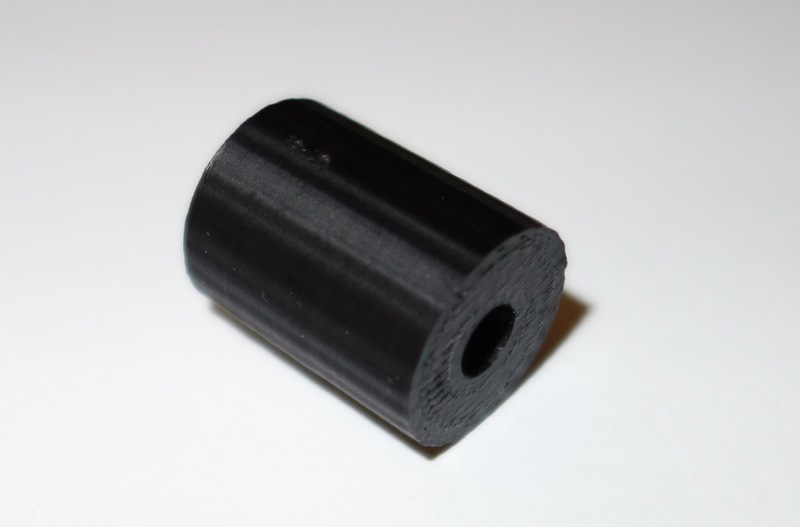 A bit of Internet research, a phone call & my simple spacer requirements (no need for me to generate 3D imaging for the basic cylindrical spacer) were produced & delivered in about 2 working days. I’m very pleased with my first foray into 3D Printing! The reassembly work started with grinding a protrusion off the new plastic chain tensioner body (something included for the normal use as a 2/6-speed derailleur unit) & creating a little more clearance to the Alfine gear change mechanism. 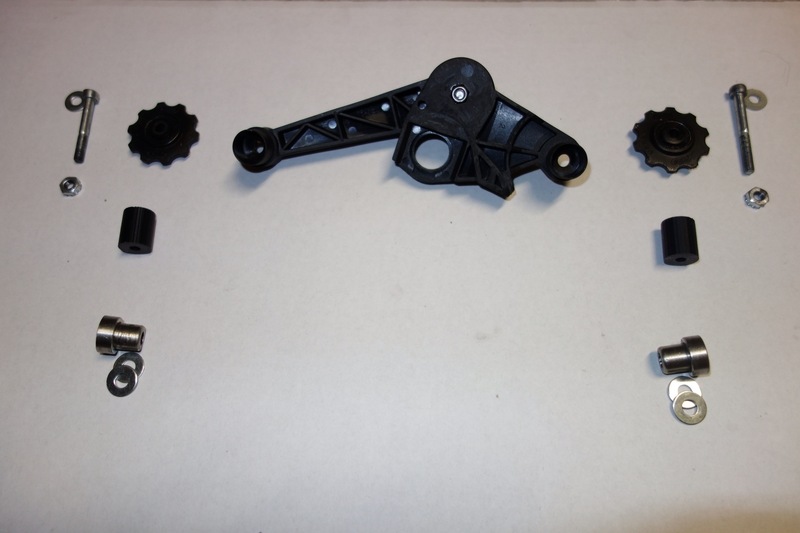 Then I could assemble the jockey wheels with my new spacers & the chain tensioner was ready for installation. For the rear hub refresh, I fitted the new dust cap & then the chain guard (missing from Ralph & I’m pretty confident that it was left off through being impossible to fit, once somebody had mangled the dust cap through not using the correct fitting tool). The new rear cog went on & was retained by its circlip & finally the gear change mechanism went back on. The rear wheel was then refitted, a new chain added & the chain tensioner attached. Done! How has it worked out? Ralph is purring! The new dust cap & chain guard now provides less chain drag, noticeable when back-pedaling, which allows the tensioner to maintain pressure on the chain during the fold & unfold operations, thereby curing the chain drop issue? The new chain tensioner & better sprocket wheel support has improved the chain alignment & probably also lessened drag on the chain. (I had thought that the chain drop came just from the distorted chain tensioner, bad chain alignment & maybe from the tensioner spring action appearing to be weak but hadn’t recognised the effect of the damaged hub dust cap.) Ahhh… bliss is an efficient bike! 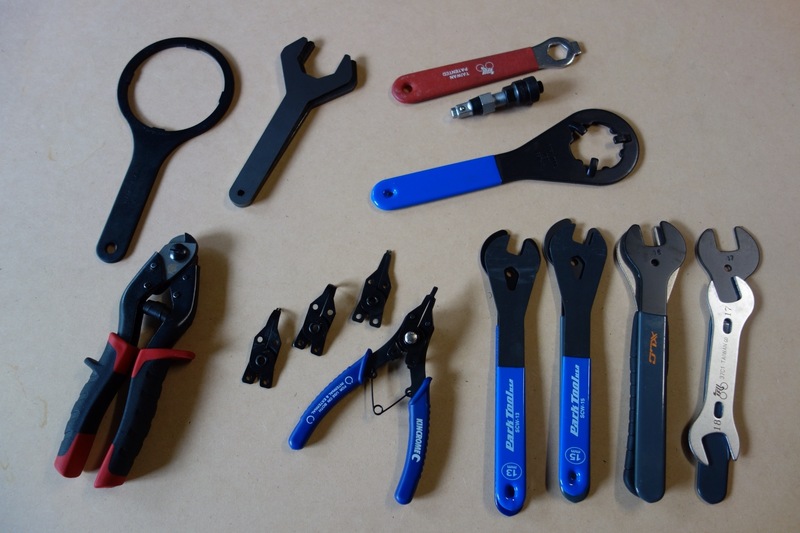 I’m still undecided about the Alfine 11-speed hub lubrication plans… create a DIY oiling kit? purchase the genuine Shimano item? & of course, sorting out the oil to be used? Finally, a pic of my “office” – ideal for little wheels TLC? 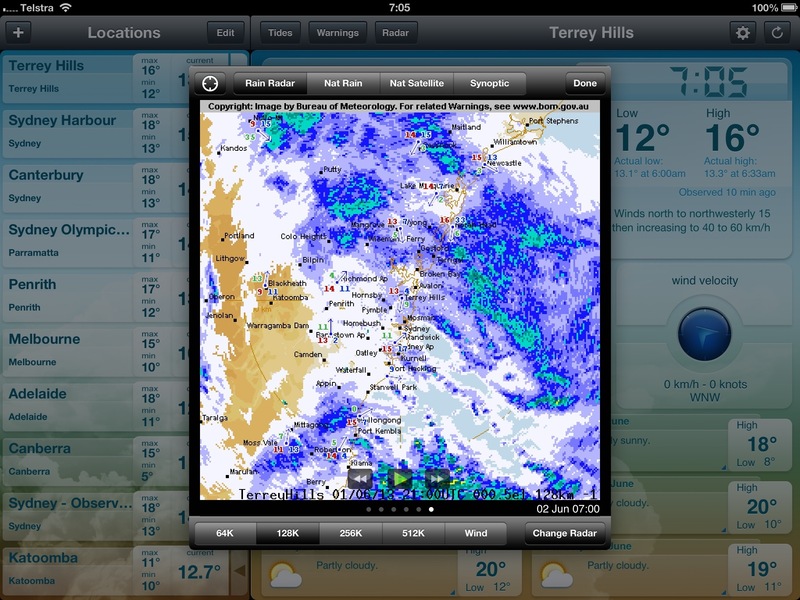 I stopped short of heading out on this month’s “Inner Sydney Explore” Brompton ride because, well it looked rather nasty. Rain & winds aren’t my favourite & I figured it would probably be a solo ride anyway. The ride attempts to educate me about all the latest inner city routes that have developed & I really needed to ensure a non-soggy map. Of course it’s always good to see other Bromptons out & about & maybe the rides will help anyone needing a bit of encouragement? We’ll see what Sunday, July 7 brings; it should be my last chance for a couple of months while the Bromptons (& us) head to the UK & the Brompton World Champs. It’s not something I can be competitive in but I’m expecting to enjoy the trip & probably meet-up with lots of Brompton owners – & especially the Facebook Group of London Brompton Club members? 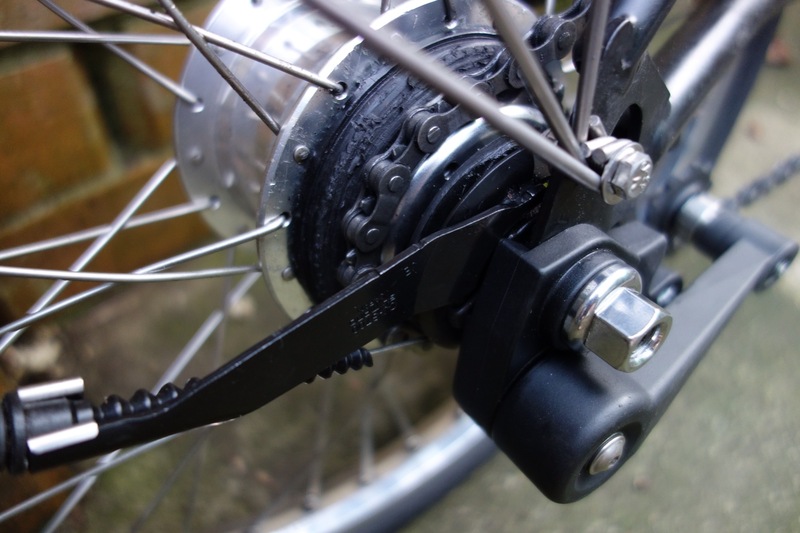 After publishing my post about Ralph’s flaws (see https://aussieonabrompton.wordpress.com/2013/06/01/ralphs-flaws/), another Alfine 11 owner has mentioned a bodge that I’d forgotten about – the wobbly seating of the chain tensioner. His fix was to modify the plastic chain tensioner but my solution was different, but first some background of the Alfine hub (& another flaw?). I did manage to locate a 9.5mm axle nut but it had a “captured washer” as part of the nut & was unsuitable. So, out with the Dremel & I ground the top off one of the acorn nuts, to be able to use that as the inner axle nut. The shouldered nut then got used as the outer axle nut that holds the chain tensioner in place. Now the chain tensioner fits correctly & the front wheel spokes aren’t striking the rear axle nut when Ralph is folded. All ok? Well, the various axle washers are another bodge & I’ll replace them when/if I find something appropriate. Well done if you’ve been able to keep up with all the above, & you’d probably be saying, “…but doesn’t that still leave one acorn nut on the left side of the hub?” Yes, I’d like to replace that too but it means I’d also have to grind that nut down – & also grind down the axle to shorten it to match the nut length! Sorry, I think I just might go ride the bike & leave the acorn nut in place.